Having a website for your physical therapy clinic is a good step in the right direction if you want to have your name out there for the public to find. Unfortunately, just having a website is not always enough to get the traffic you need to your website. As you know, traffic to your website translates into potential clients. If you want to have a truly successful website, one of the best ways to achieve that is to have a physical therapy blog that is connected to your PT Clinic’s site. Blogging about your physical therapy clinic alone is not going to be enough. You also want to ensure that you are doing local physical therapy blogging. What exactly is local physical therapy blogging you might ask? It is exactly what the name suggests; it is generating blog posts that related specifically to the area in which you have your practice and it will do wonders for your local SEO rankings. If you live in the mountains and your practice is based in the mountains you may deal with many injuries related to off-road biking, skiing, and snowboarding. With that in mind, when creating blog posts it is essential to generate content that is relevant to those particular sports and the injuries that can result when participating in them. Although writing posts about injuries sustained by swimmers, or divers, may have some relevance in your location you are less likely to have people that have sustained injuries from body surfing or traditional surfing in the mountains. Additionally, writing posts related to hiking safety, or news on the latest, or most popular, hiking trails local to you would have relevance to the services your PT clinic provides. You could also suggest tips related to potential injuries or problems that can arise when hiking, off-road biking, skiing, and snowboarding. These blog posts are going to demonstrate your understanding of what activities the locals enjoy and that you are able to help them in the unlikely event someone sustains an injury. Another way in which you can demonstrate your understanding of the community in which you live is by posting on your blog about your community involvement. Do you offer your services on a non-profit basis so you can educate the youth of your community about health and wellness? Do you educate people of all ages on how to be safe when enjoying any of the local outdoor sports people enjoy? If you co-sponsor events with other businesses involved in the health related field, it will help you in multiple ways. Participation in the community serves multiple purposes. You are able to get your name out there as well as letting people know that you care about the community in which you leave. In addition, by participating in an assortment of community events it will benefit you concerning your online marketing and your blogging. Along with the blog posts that you make related to the various events you participate in, other bloggers and news agencies can pick up on your interest and participation in the community. This helps to expand the reach of your PT clinic name and your commitment to the health and well-being of the members of the community in which you live. 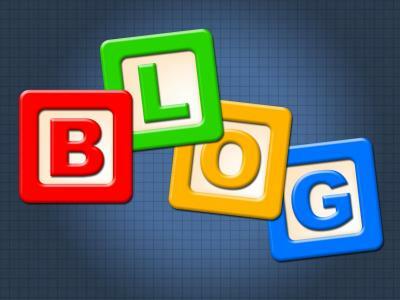 Blogging about your physical therapy clinic is simple, if you only want to do basic, generalized blog posts. Local blogging helps you connect with the people that live in your community. It lets you develop a bond with them and lets them understand that you have the skills and the knowledge to handle the injuries that are most common to the area in which you live. Show the community in which you live that you care by getting involved in the community and showing them how you can help. If you need help with content for your PT clinic's blog, then why not call PatientSites.com today on 866.565.4746 or just take a look at the features we can offer including our blogging platform.